Adjusting the way your body is aligned while sleeping can make a huge impact towards getting a good night's rest. Our MEMORY FOAM CPAP PILLOW WITH HERBAL INFUSION is our promise and contribution to improving your sleep and CPAP experience. This premium quality reversible Memory Foam CPAP Pillow not only reduces mask leaks but also introduces a new level of comfort by incorporating aromatherapy within a pillow. 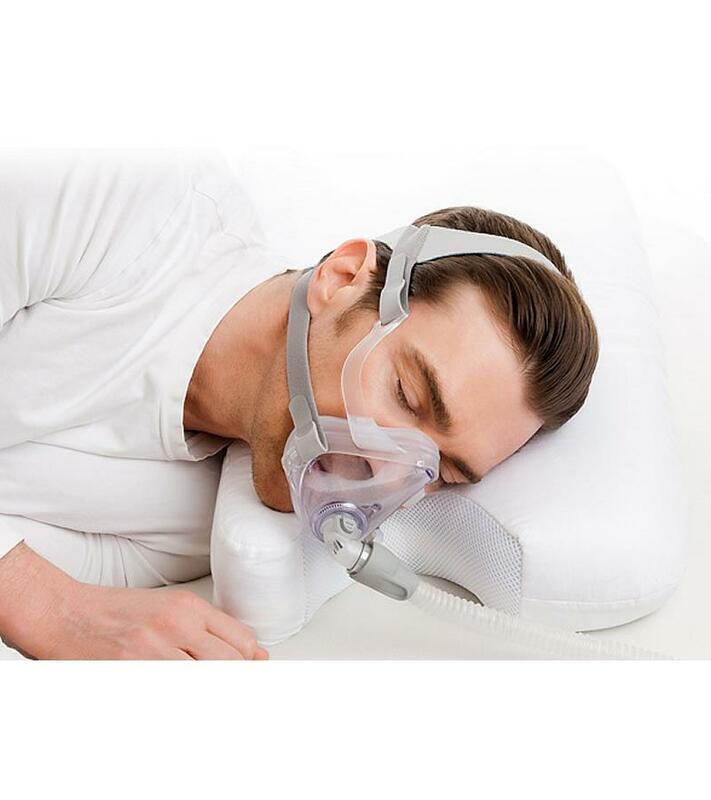 CPAP users often face a dilemma: CPAP machine is working well, the mask fits great, but the sleep quality may remain poor. What many CPAP users forget to take into consideration, is the right choice of pillow. No matter how well the CPAP therapy is set, achieving a deep relaxing sleep without the right pillow may seem very difficult task. Best in Rest™ new patented revolutionary technology of herbal infusion of memoryfoam helps CPAP users achieve a deep restful sleep like no CPAP pillow was able to do before.